Joe Hockey has mightily offended Bernard Keane by making his austerity a moral issue, evoking a trenchant critique. The shorter Keane is that if you turn budgeting into a moral issue you are held to a higher standard. On this basis Hockey comes out as a prize hypocrite. More of Keane later, first let’s wrangle some numbers. I’ve made a table of the 15 major expenditure items identified by the National Commission of Audit as causing concern over the long term, omitting the eight years of 2015-16 to 2013-24 for convenience. The intervening data does tell some stories. For example, after growth spurts both Schools and the NDIS settle to much flatter growth in the out-years. The table was reprinted in the AFR. To me the most important numbers are the two in the bottom right. When all is said and done total Commonwealth payments would grow by 0.2% of GDP over 10 years. In today’s dollars that’s about $3 billion dollars. Sounds a lot, but in a $400 billion budget it’s a rounding error. First, he is aiming at a small surplus in 2019-20 and a surplus of one per cent of GDP by 2023-24. Economists and others can argue about timing and quantum but this aim seems to me fair enough. 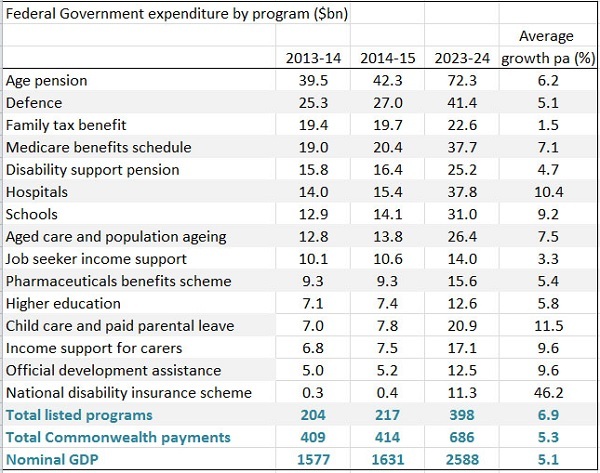 Secondly, Hockey wants to shrink expenditure as a proportion of GDP. This is ideological, not moral. Hockey claims that if he takes his hands off the wheel expenditure will grow by 3.75% per annum, reaching 26.5% of GDP by 2023-4. From memory, I think that’s roughly where it was under Howard and Costello. The CIA’s world Factbook has a country comparison of tax and other revenues as a proportion of GDP. Obviously they use a particular definition (probably includes GST) since Australia comes in at 33.2%. By contrast we have Canada at 37.7%, New Zealand at 38.5%, the UK at 40.4%, then follow the Europeans up to the Scandinavians at above 50%. If Australia’s share was lifted to Canada’s the government would have an extra $55 billion available. All I’m saying here is that lifting the share by a few percentage points is not self-evidently a crime against the people, immoral or even economically foolish. The audit commission has assumed that tax receipts must remain limited to 24% of GDP, for reasons unknown. Before the election Hockey was saying that he would take 1% off tax receipts as a proportion of GDP. He hasn’t nominated a percentage now that I know of, but he has deemed that growth in expenditure will be limited to 1.75% per annum. That’s harsh. Tingle says Labor’s aim, not always achieved, was for a 2% limit, also austere. Again we are told this 1.75% limit is right, responsible and moral, without any supporting argument. Wayne Swan, I understand, reduced outlays by a couple of percentage points of GDP. His problem was that revenues were a couple of percentage points shy of outlays. Still, Labor had a long-term plan back to the black. 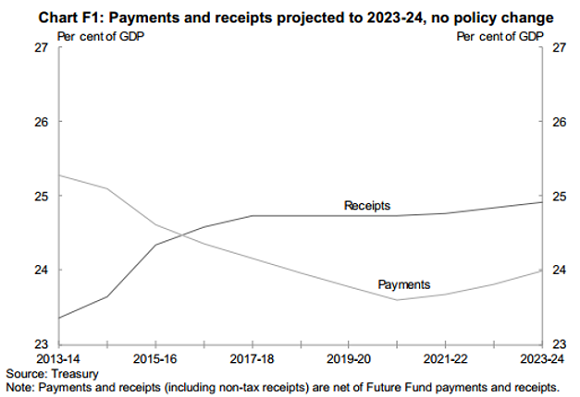 The following graph is from the Pre-Election Fiscal Outlook (PEFO) published under the charter of budget honesty before the last election. I displayed it in my ‘liars and clunkheads’ post back then. I understand it involved allowing bracket creep. One has to ask why Hockey’s self-imposed austerity path is supposed to be superior. One way of fixing the budget would be to allow bracket creep, ruled out by the audit commission and Hockey. Another way, suggested by John Hewson, would be to take a look at tax concessions, especially in superannuation. A startling fact is that the percentage of retired folk receiving at least a part pension is projected to remain at 80%. Hewson says that superannuation policy robs the poor in favour of the rich, and in amounts that matter. He calculates super tax concessions at around $44 billion, roughly the same as the aged pension but growing faster. Tax concessions overall are around $120 billion rising to $150 billion by 2016/17. Today’s AFR identifies some of the budget sacred cows, leading with $15 billion in protecting the family home from capital gains, $13 billion in not broadening the GST. Tightening the age pension means test to include the family home would save $7 billion. By contrast the mooted ‘deficit levy’ would only yield hundreds of millions even if implemented widely. It’s small change. Such a move must be regarded a political rather than economic. Keane asked Hockey what he was going to tell his granchildren about what he did to prevent global warming. They will pay. Why were Labor’s efforts to reign in middle class welfare either not commented on or termed “class warfare” or “the politics of envy”? Why did the LNP fight tooth an nail cutting back the private healthcare rebate to high-income earners? In November, Hockey abandoned Labor’s plan to reduce the extravagant tax concessions enjoyed by superannuants earning over $100,000 a year, costing billions. He also restored a fringe benefits tax rort, an actual rort, for novated leases, again worth billions. 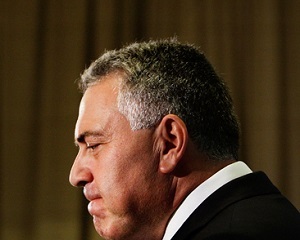 Hockey wants to cut carbon pricing and the mining tax. Hockey is talking to us about the “moral imperative” of fiscal discipline while handing billions to large companies, wealthy retirees and tax rorters. a “massive increase” in defence spending beyond forward estimates and that it was a budget boobytrap, a fiscal “tsunami coming across the water” created by Labor. The next minute he’s committing billions to F-35s which “wouldn’t cost anything” because it’s already in the budget. Then of course there is the rolled gold parental leave scheme. Keane reckons Hockey has cut revenue by about $15 billion. He would have increased spending by a similar amount. Then he complains about a budget mess and dresses up his austerity program as a moral crusade. I think we’ve been short of revenue since Rudd matched Howard’s tax cuts in the 2007 election campaign. There’s nothing broken about the budget that a steady hand, a mature review of priorities and a gradual return to revenue levels prevailing under the Howard government would not fix, together with a modernisation of the whole tax regime. Time to look seriously at Ken Henry’s review. Elsewhere, Peter Martin has some tips. In the Weekend AFR Phillip Coorey in an article The budget crunch is John Howard’s baby too reckons the budget problems date back that far. Apart from generous handouts to middle Australia in the previous years, Howard/Costello promised a $31.5 billion tax cuts in the May 2007 budget. One day into the election campaign he added a promise of $34 billions worth of further tax cuts (we’re talking four-year budget cycles). Rudd matched him, in addition to his own spending plans. The half-year budget update did find an extra $59 billion worth of revenue. No-one foresaw the GFC and the end of the salad days. Also Chris Bowen has an article pointing out that scrapping the low income superannuation contribution (LISC) and deferring the increase in the superannuation guarantee will take $55 billion out of our national savings pool over the next 7 years. These policies, he says, were designed to reduce the numbers of middle and low income earners requiring pension support in the future. Do this rather than lift the retirement age, he says. Bowen’s comment received specific support from Tony Shepherd, chair of the audit commission. 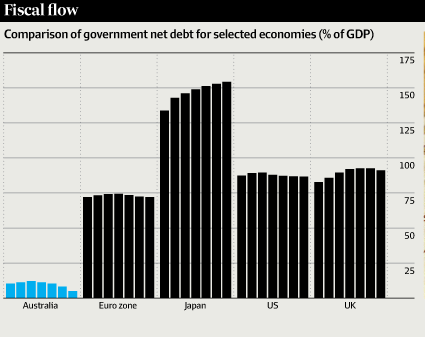 See also John Davidson’s post, plus Richard Holden on why Australia does not have a debt crisis. Poll anger or a shift in the tectonic plates? Thanks Brian, Looks like a far better analysis than is served up by the Ministry of Truth, Bracket-creep might have been a handy way of cheating the public back in Manzies’ time but it will do more harm than good nowadays, Printing more money won’t help either. GB, my bottom line is that the ‘problem’ is not as bad as made out, could be solved with a comprehensive look that included tax concessions and tax reform without all this hairshirt carry-on. Also, as you say the kind of analysis needed to come to terms with the whole thing is lacking in our MSM. I’m not an economist, don’t have their tools available, but by and large the people who should be helping us come to terms with the situation are not doing it. As I’ve said before. our pollies really haven’t much idea of what they’re doing when it comes to steering an economy. Whatever variant they are, they don’t have the political courage to impose the necessary tax increases needed to shore up revenue. The proposed levy is fine, but it smacks of the political with the Libs saying they have to do it because of Labor’s debt – the debt that helped keep us out of the GFC, btw. And which, because Hockey and Abbott have bodgied the figures, we don’t really know the true figure for. The big danger – and I’ve said this before – is that all the LIbs’ ideology driven economics will do is drive us into a deep recession. Brian et al thanks for posts like this. They make things so much clear, as GB says. Super tax concessions at around $44 billion, roughly the same as the aged pension but growing faster. The super concessions are particularly obscene since you have to be well off to take advantage of them. In the last few years of my working life I could have avoided tax by diverting enough of my earnings to super and simply living of savings. My understanding at the time is that I was old enough to extract tax free money from my super accounts at the same time as I was putting money in – legal money laundering if you like. Removing the super tax concessions and paying the pension to everyone above retirement age would actually have less impact on the budget than the current pension/super arrangement. I agree generally with what’s been said so far, but to me the key thing that stands out is keeping tax receipts to 24% of GDP. That’s a political directive, pure and simple, and it predetermined the outcomes. Makes the whole exercise meaningless (I guess we all knew that, but it’s worth telling a broader audience. If we can). Val, I think that Swan may have been trying to keep receipts below 24%. To my knowledge, Hockey hasn’t nominated a figure as such. Revenue recovered a bit for PEFO. I think Swan’s budget had it down at about 22%. Hockey was saying that he wanted to take a percentage point off that, and then have a surplus of 1%. It’s going to be gruesome. 1. Recognition-of-prior-learning (RPL) for high-level military specialist skills so that peacekeeping and war veterans can transition straight to equally challenging civilian jobs using those same high-level skills (and with the added benefit of not having to worry about being shot at or blown up). High pay = high taxes -> more revenue for our government to use. 3. “Getting rid of red tape”. That, Mr Abbott and Mr Hockey, INCLUDES the featherbedding and the thoroughly unnecessary housing “standards” imposed by the thieves in the overprotected finance sector. 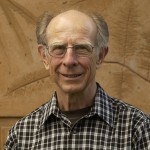 (See John Davidson on Climate Action Notes 01). Once the housing mess is under control – and that can be done on a single day of parliamentary sitting – most of the pressures on wages and costs will vanish like fog in the morning sun. In other words, STOP subsidizing the horribly inefficient finance sector and the Bludget deficit will vanish and leave us with an overflowing Treasury. My broker says that projected fiscal changes in the upcoming budget will form a negative catalyst for retail sales growth for Wesfarmers (Coles, Liqourland, Bunnings, Officeworks, Kmart and Target). In other words the budget will have a negative effect on consumer spending, which of course means a negative on GDP. Glenn Murray has a lot of interesting graphs in Abbott’s war on the rest of us. Yesterday can be dated precisely as, if not the end, or even the beginning of the end, then certainly the end of the beginning of Tony Abbott’s premiership. It seems a levy is not a tax as long as it’s temporary. I can’t believe it. (Well, I can actually – it is, after all, Tony Abbott and Joe Hockey). They want to destroy universal health care. No surprises there. They’re going to send eighteen, nineteen and twenty year olds to the big city without enough income to rent a place if they can’t find a job. So they’ll end up in the gutter and have to push drugs and sell themselves to survive. They’re going to cut aged pensions. Yeah, I know this cohort coming up all voted for Whitlam and were responsible for peace movements, second-wave feminism, gay rights, Aboriginal land rights, encouraging left wing artistic types to speak out of turn etc etc but its still a bit rich. They’re going to privatise Australia Post. Which will mean it will be really expensive for mail in rural areas. Only the rich will be able to afford a uni education. And we thought JWH was driving us back to the 50s. Paul, they can’t possibly do all those things! You are no doubt referring to the audit commission recommendations. As Hockey said, some of their suggestions were “courageous”. Yet what they’ve come up with shows them to be a prize bunch of ideologues and a waste of time. Definitely worse than expected. Bit what Abbott/Hockey et al take from the report will also leave many voters betrayed. Not what they thought they voted for. The next poll should be interesting. The Guardian gives the best summary of the Audit Commission recommendations I’ve seen so far.. Its horrifying reading. And worth checking out. Since I get most of my news from the ABC TV, or on line, I’m not sure to what extent the commercial channels are running the line that the claim of it all being Labor’s fault is rubbish. or whether they’re just going with the Liberal Party propaganda. Not much of the former I fear, from the few glimpses I’ve caught. Of course, as several commentators have noted, this might all be a stunt, so the cuts in the budget, which won’t be as drastic, don’t appear so bad. Trouble is, this small government/bash the poor/privatise the world ideology is where these nutters are really coming from, so it doesn’t really matter. The budget is going to be bad, it’s question of degree. Quiggin has a post wherein he says that 3 or 4 years of bracket creep should fix the deficit. No probs, no crisis. The post is mainly about saying he’s in favour of taxing the rich, and the Greens should support that too. I think the levy/tax on the rich is a con also to make us feel better about taking our medicine. Ross Gittins is definitely worth a look. It is a shame that the Greens and Labor have leaped in promising to block the levy. It is a real breakthrough when a conservative prime minister proposes a tax/levy that actually targets the rich. Abbott should be applauded and urged to further. If Labor and the Greens block the levy it will just reinforce the perception that proposing tax increases is political poison – time we grew up..
Business Spectator had an article “The high cost of being poor” Most of the article was about the US but some of it applies here now. Given our Tea Party’s desire to be more like the US it is not a nice look. Brian @ 9: Thanks for that link to Glenn Murray’s blog – and to those interesting graphs, which, if accurate (and I have no reason whatsoever to doubt what they show) are a damning indictment on our supposedly free press. If a small business operator somewhere outside Sydney could find that information himself then why couldn’t all our great and glorious journalists? (Yeah, I know – it was a rhetorical question). Glenn Murray didn’t mention any of the actual or expected cuts in Veterans’ Affairs now that Australia is withdrawing from Afghanistan (or Shaitanistan, if you prefer); no cuts in the tinsel-&-sparklers Gallipoli Centenary photo-opportunities though. @ 14: It’s not just that the Bludget will be bad – it will be counter-productive by sending us all into a deficit and a balance-of-trade flat-spin. Don’t worry about bracket creep and inflation (anyone been shopping lately? ); just worry about Robert Mugabe getting his printing presses over to Australia in time. an $8.8 billion grant paid to the Reserve Bank of Australia. MYEFO states deterioration of about $2.9 billion was attributed to removing what is described by Mr Hockey as “uncertainty” in relation to about 100 announced, but unlegislated, tax and superannuation measures. Mr Hockey maintains that the budget “blow-out” Labor keeps pointing to is a direct result of the Government needing to fix inherited problems and paying for policies initiated but not legislated for, under the previous government, rather than it being all new spending. He also says the Government has brought forward new spending that Labor “buried” beyond the four years of the forward estimates. Labor disagrees. The most significant single payment across the four years is a grant of $8.8 billion given to the RBA this financial year. Good to see that Bowen is right and that the ABC is interested in the truth. I liked Bowen as Treasurer and hope he will be that again after the next election. I also liked him as acting leader during the period when the ALP were deciding. Trevor Cook got it right. Forget Rudd and Gillard; Whitlam is Abbott’s real target. When they attack the so-called age of entitlement, they are really attacking the pillars of modern, Whitlamite Australia where concerns about access were more important than reducing the tax rate for business and rich individuals. And the biggest stalking horse of all is Abbott’s efforts to get rid of Labor’s commitment to a national system of government and revert to a pre-federation style competition between increasingly impoverished states. The intended victims of this charade are the poor and the middle class. Abbott knows the states will be forced to cut spending – he wants them to do it. Australia is at a turning point. And Abbott is no moderate, no centrist, not even a genuine conservative. Abbott and Hockey are reactionaries rather than conservatives. Brian: I see Abbott and his supporters as Tea Party radicals. Definitely not conservatives. To me the US Tea Party is a con job where people like the Koch brothers and Murdoch have convinced dissatisfied. people on below median incomes to oppose things like climate change, Obama care, higher taxes for the rich etc.etc. even though many of the things they are opposing are in their interests . In the US the tea party is harnessing the support of white, not very educated males that are seeing the relatively well paid jobs they used to have in things like the manufacturing industry either disappearing overseas or being lost because the preferences they used to enjoy are being eroded by equal opportunity laws etc. They are also supported by their wives who are seeing their way of life being eroded by what is happening to their husbands. To my mind a conservative is someone who thinks our society is working OK, wants to preserve the things that are working and is cautious about changes that may have unexpected downsides. They tend to be the people for whom our society is working well. At the other extreme an extreme radical is someone who thinks our society is stuffed to the point where it needs to be torn apart and rebuilt. By these definitions Abbott is a radical, not a conservative. His first budget seems to be all about driving us to a world where the rich are bunkered down in their gated communities and compounds protected by their security guards. The very poor will be forced into an increasingly desperate world where they will need to become criminals to survive. The people in the middle will become more and more concerned about law and order and be more inclined to support harsher laws, suspensions of civil liberty and a growing prison population. Hardly a conservative vision. My take is that Abbott is vulnerable to a loss of conservative support in favour of real conservative parties like the Greens. John D.: Agree with you about the Tea Party and radicals, both here and in the temporarily-United States. Well, it has happened sooner than I expected and what is filling that vacuum is a lot nastier than I expected. Still, I’ll keep boasting “I told you so!”, “I told you so!” and, in that context, I’ll keep in mind that old saying “If it ain’t broke – don’t fix it”. If it aint broke why fix it? is what the tribe who didn’t think they needed spear throwers said. You get different answers when you ask what you have to do to get a one % improvement than when you ask what you need to do to get 100%. My take is that there is a lot in our society that really does need radical change. Just not the radical moves to protect the entitlements of the entitled rich that we saw in the budget.